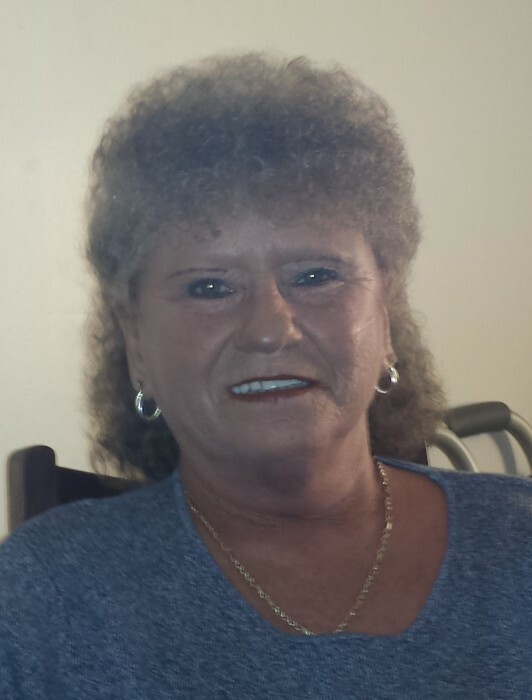 Linda Faye Bullard Boggs, age 66, of Sanford, NC, died Tuesday, January 15, 2019 at her home. She was born in Lee County on March 11, 1952 to the late Calvin Monroe Bullard and Nellie Mae Heath Bullard. In addition to her parents, she was preceded in death by her husband, Walter Edward Boggs and a brother, Billy Ray Bullard. Linda worked for many years at Roberts Company. She is survived by her son, Nelson Ray Honeycutt of Sanford; one brother, Eddie Monroe Bullard of Sanford; three sisters, Velma Grace Castro and husband, David of Sanford, Mary Coleen Shipman of Reidsville, Debbie Lynn Smithey and husband, Timmy of Reidsville and two grandchildren, Hailey Scott and Brianna Scott. The family will receive friends on Monday, January 21, 2019 from 12:30 PM to 2:00 PM at Bridges-Cameron Funeral Home. The funeral service will follow at 2:00 PM with Rev. Robert Thomas officiating. Burial will follow in Buffalo Cemetery.